Learn about some of our proudest moments last year. We worked with CorCom, Inc., a research and consulting firm, to gather insight from our summer students to drive future development. One amazing statistic that emerged was that nearly all those surveyed would recommend PGC to friends or family. PGC’s Net Promoter Score (NPS) is extremely high at 91, which is higher than Costco’s (79) and Apple’s (47) score. 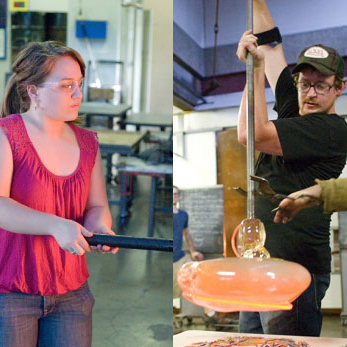 This year we significantly grew our community of artists by welcoming four families to Pittsburgh: Dean Allison (kiln artist) from Penland, NC; Lisa Demagall (flameworker) from Cleveland, OH; Jack Gramann (glassblower and sculptor) from Columbus, OH; Jaime Guerrero (glassblower and sculptor) from Los Angeles. 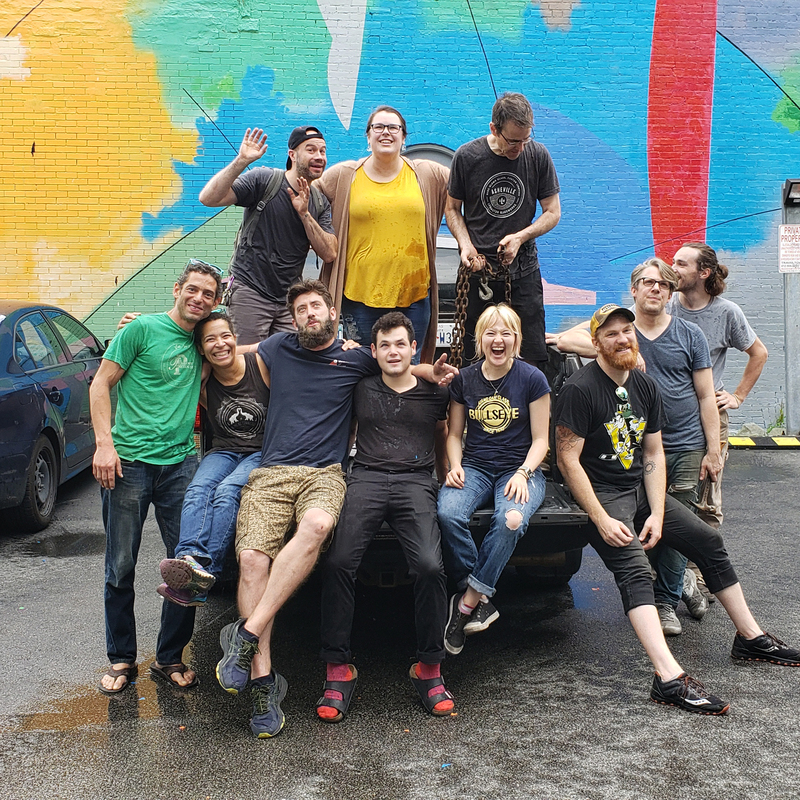 These artists will be making their art in the PGC studios and making Pittsburgh their new home. Income from Make-It-Now experiences is projected to reach $180,000 this year, a $20,000 increase over what we earned last year. We saw 420 additional MIN students in 2018. The Carnegie Museum of Art purchased five pieces from our spring exhibition “Sharif Bey: Dialogues in Clay and Glass.” Bey, a ceramic artist, had no glass experience. 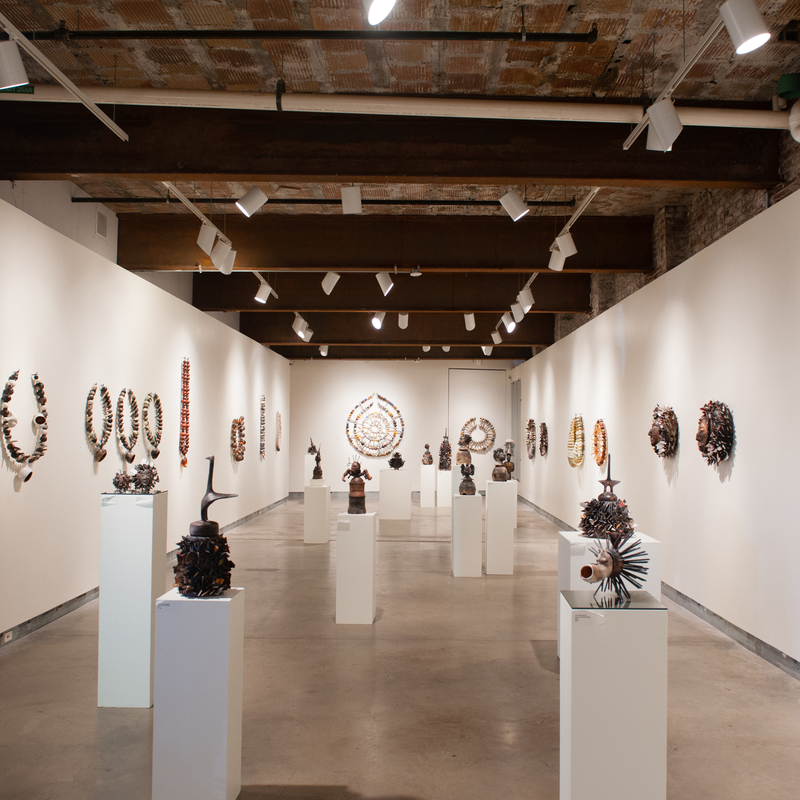 He was invited to participate in the Idea Furnace residency program where he continued making his large-scale necklace wall hangings in clay and created a new series of necklace forms made from large glass beads. 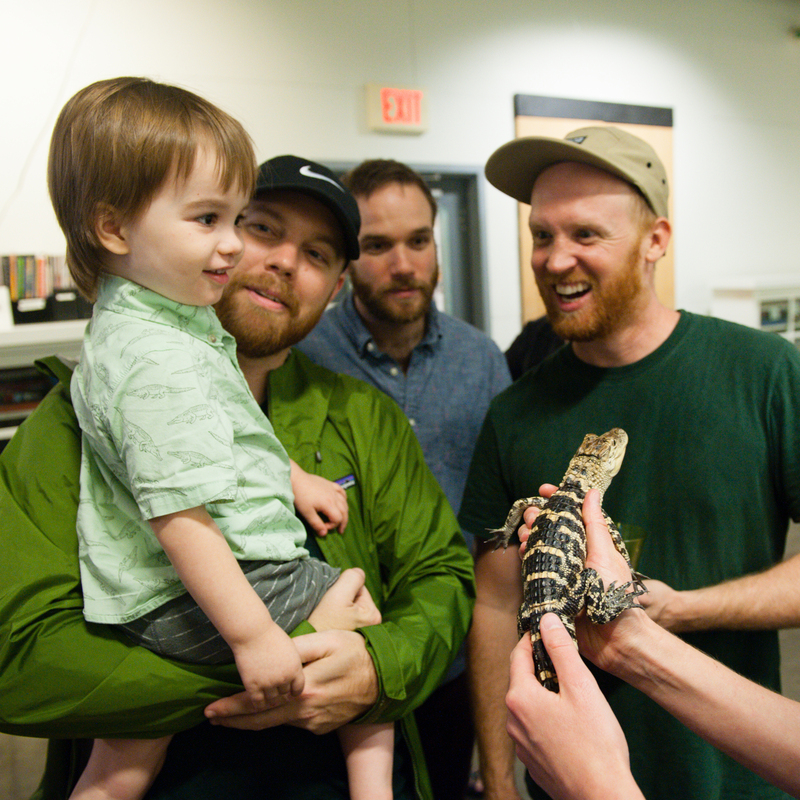 We held our first veterans’ event in July and offered free workshops to veterans on Nov. 11. To date, 16 veterans have taken workshops and four veterans have taken multi-week classes for free, thanks to support from The Fine Foundation. We’re also excited to welcome veterans Samantha Brillon and Lenny Kistler to our Board of Directors through the Leadership OnBoard program of Leadership Pittsburgh. 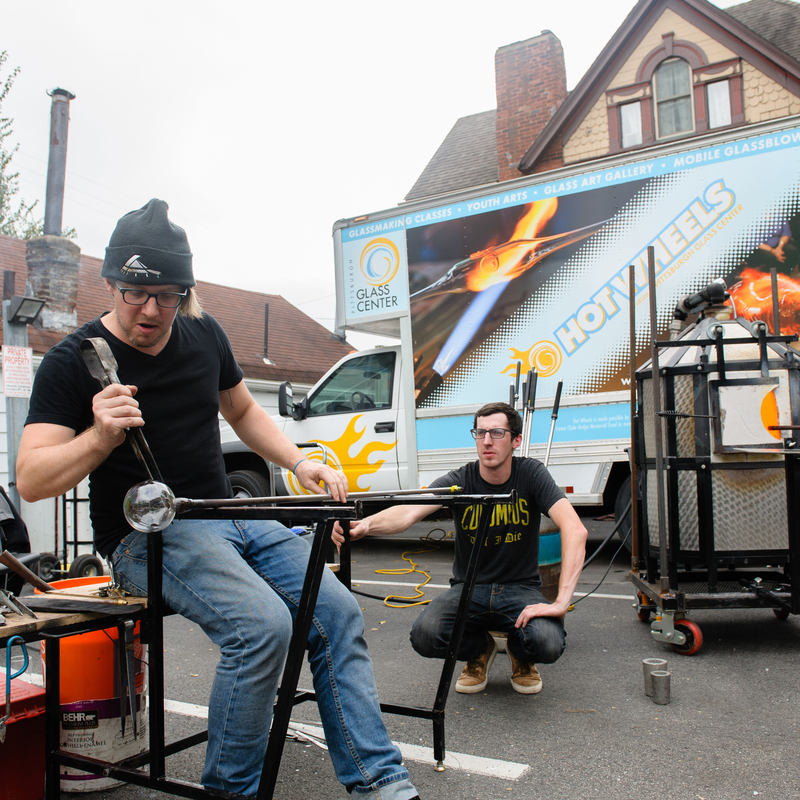 In its first full year on the road, Hot Wheels reached approximately 100,000 individuals at events such as Art All Night, Fair in the Park, Festival of Combustion, Three Rivers Arts Festival, Carnegie Library, Mars Area High School and Valley Points YMCA to name a few. Gayle Forman, a former SiO2 student from Pittsburgh, was awarded a Fulbright award to study in São Paulo, Brazil. Jon Capps, a former tech apprentice, was awarded a Fulbright award to study in Nuutajärvi, Finland. 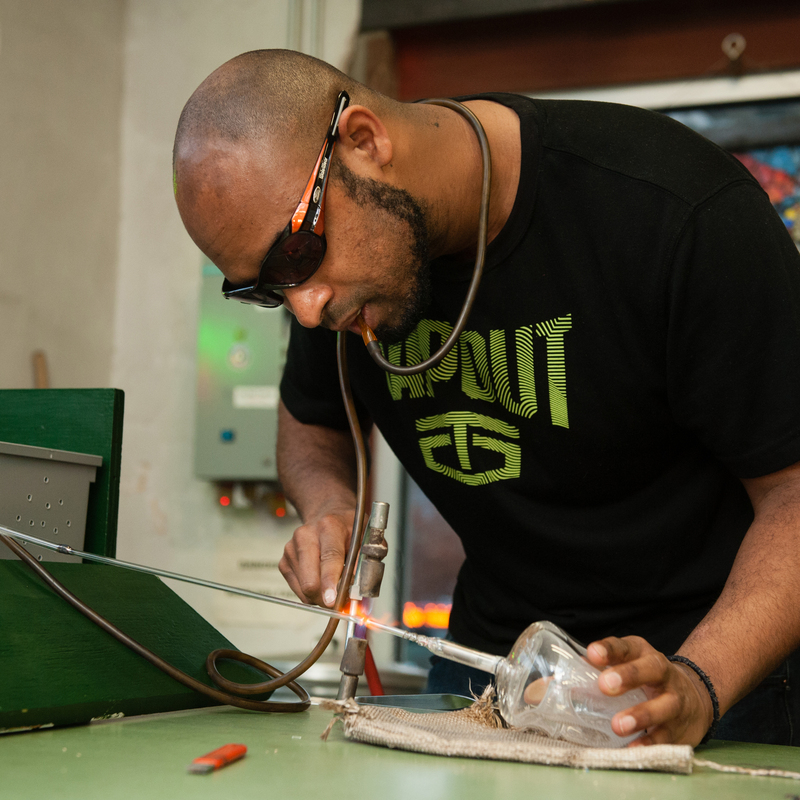 Percy Echols received the first Ron Desmett Memorial Award for Imagination with Glass that recognizes artists who think outside of the box, practice curiosity, and take risks. 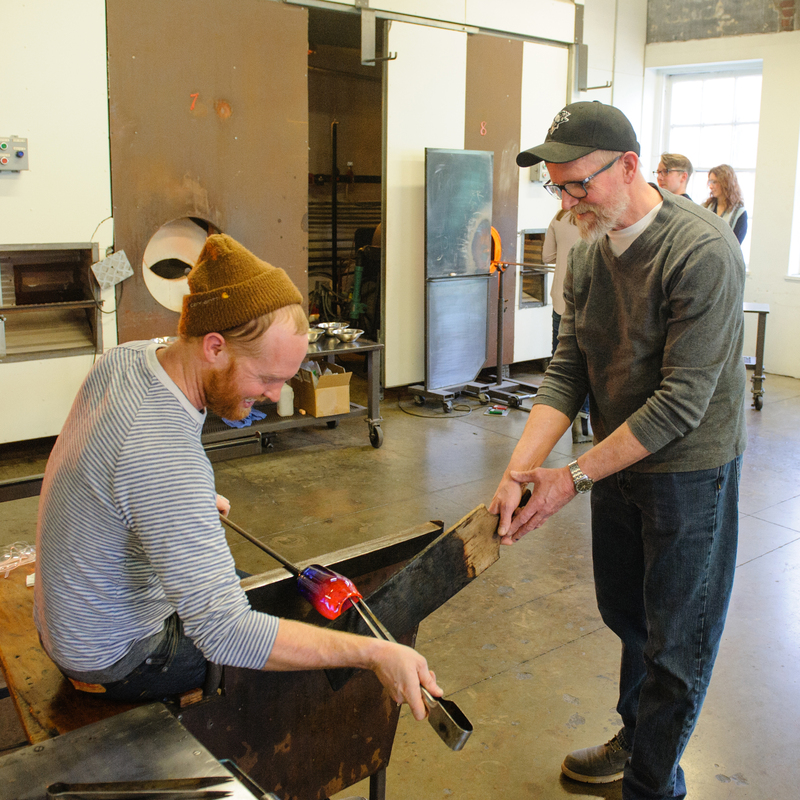 Echols received a $2,500 cash award and time in PGC’s studios to continue to pursue his passion for plasma and neon. 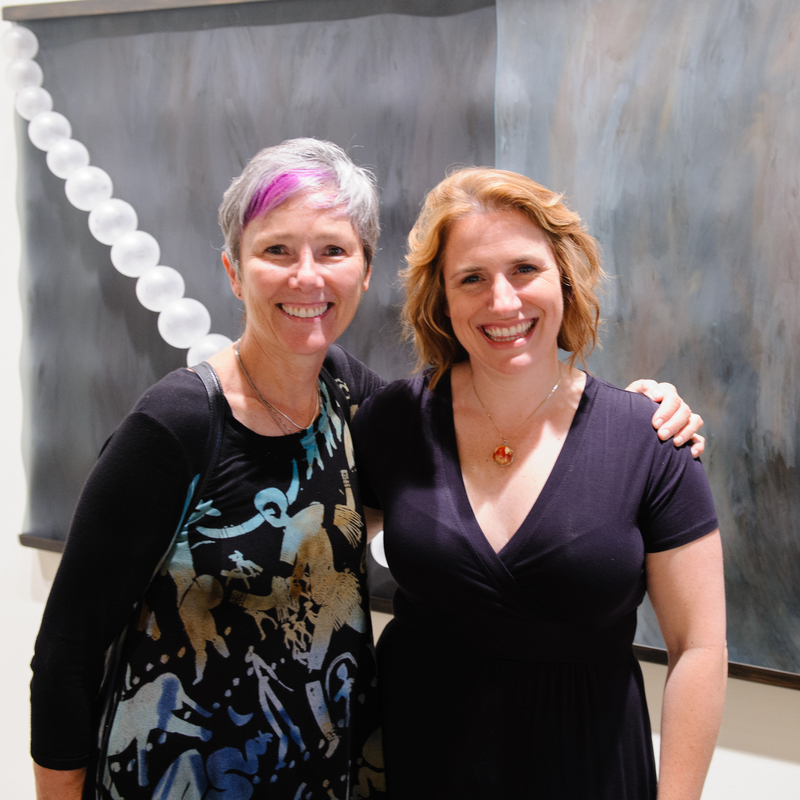 Kelly O’Dell’s exhibition “All of the Suddens” was presented in partnership with Carnegie Museum of Natural History, Pittsburgh Zoo & PPG Aquarium and the Western Pennsylvania Conservancy. 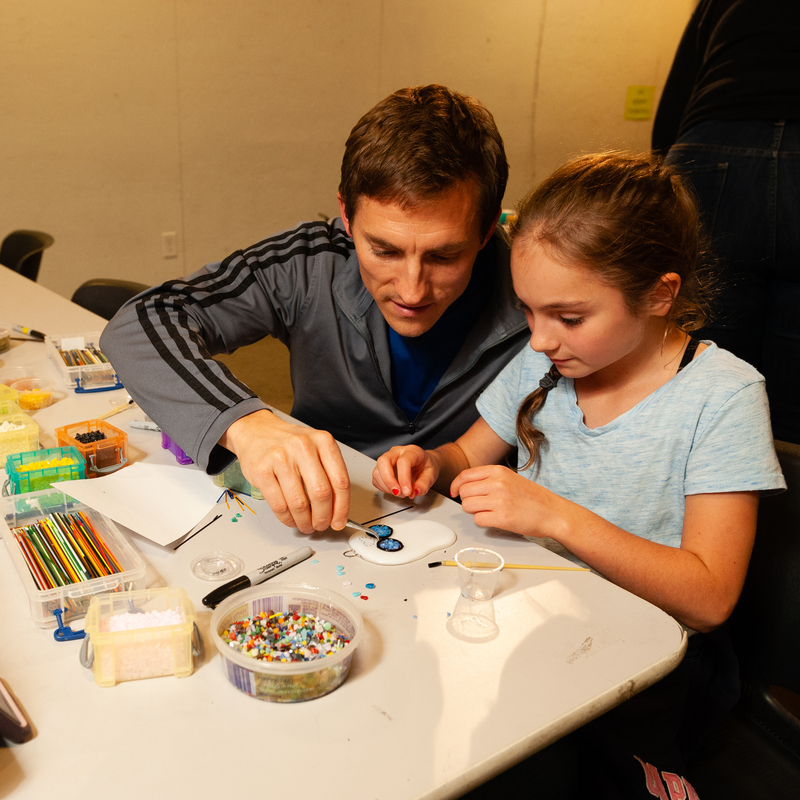 The Conservancy helped O’Dell create bronze imprints of freshwater mussels, The Natural History Museum loaned us several specimens of extinct species for display and the Zoo presented a free Monarch butterfly workshop. We are a grantee recipient of Bloomberg Philanthropies’ Arts Innovation and Management (AIM) program. 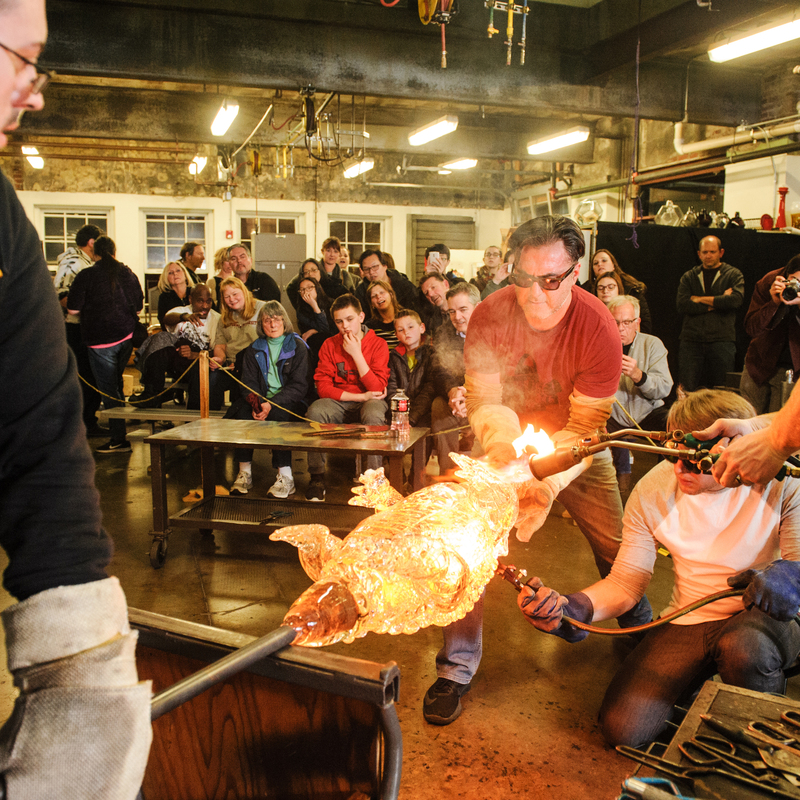 The invitation-only program strengthens organizational capacity and programming for small and mid-size cultural organizations. Bloomberg Philanthropies will provide unrestricted general operating support as well as arts management training in areas that include fundraising, strategic planning, marketing and board development.